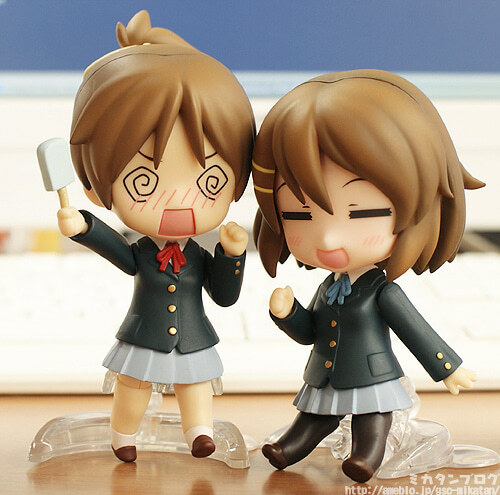 The next few days are full of Nendoroid releases! 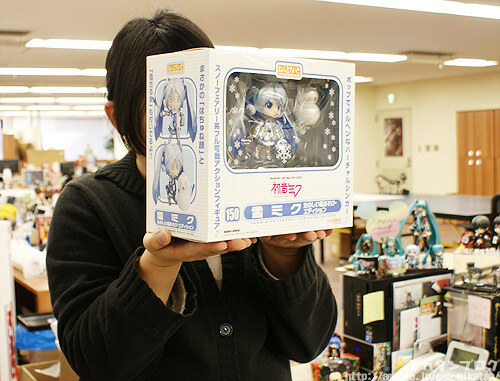 Nendoroid Miku Hatsune: Absolute HMO Edition! 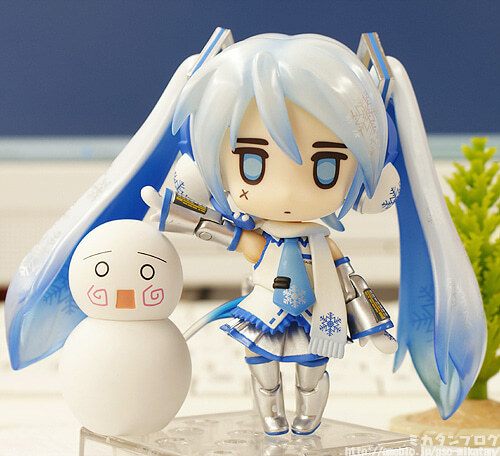 She’ll be in stores on the 31st January! 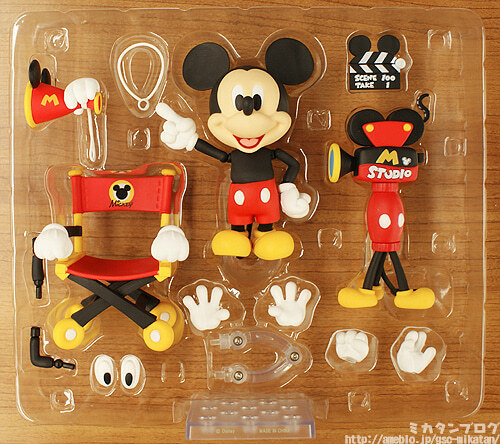 Not only is she fully posable, she also comes with a ton of extras! 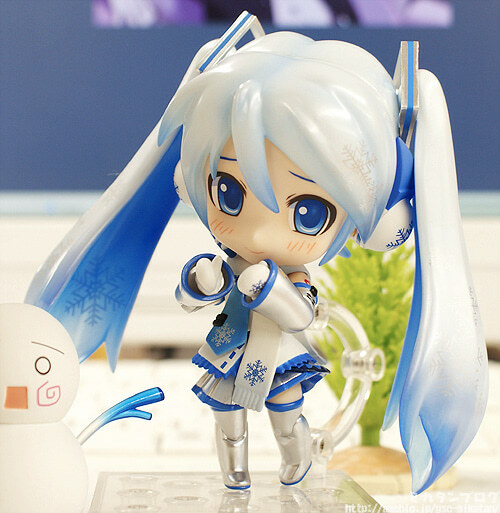 YMO (Yellow Magic Orchestra) released a CD called “HMO (Hatsune Miku Orchestra)”, which featured this version of Miku illustrated by manga artist Kuu as the illustration on the jacket cover – the jacket cover was so popular that it is now getting it’s very own Nendoroid rendition! 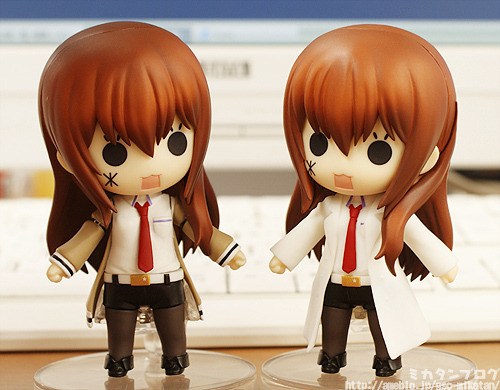 Her over-sized sleeves suit look great as a Nendoroid! You can’t call that baggy look anything but cute!! 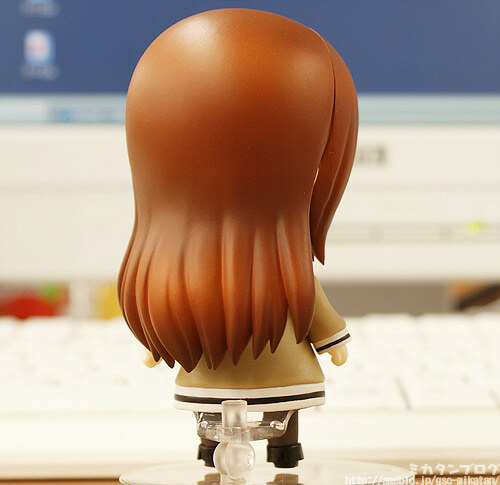 Even her hair is fully posable! 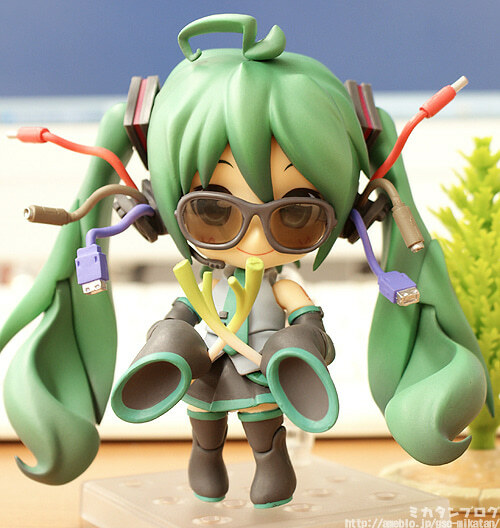 Both the base of the twintails and extra parts along the hair have joints, so you can pose it in many weird and wonderful ways! The stand she uses is the same that the fully posable Saber used – it connects to her back allowing lots of poses but also keeping her nice and stable. Let’s take a quick look at all the extra parts… there are so many…! First up – her headphones and two leeks! It’s the pose from the HMO Jacket! You can recreate the pose from the jacket cover nicely! Her sunglasses! They’re included as well! 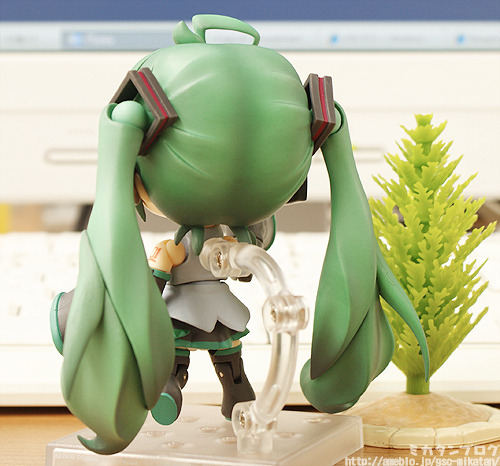 You need to take off her fringe parts to put them on, but after that they attach easily! 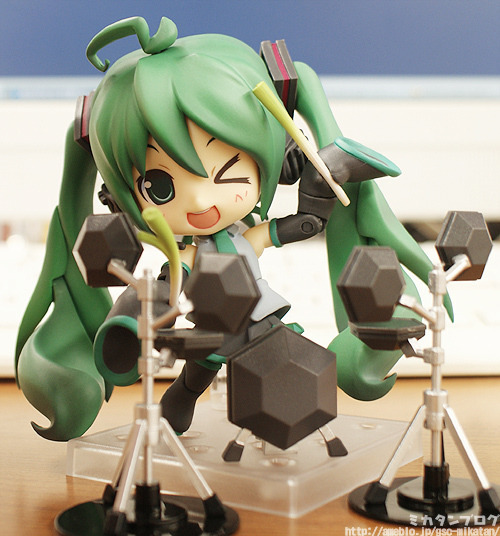 A winking face and an electric drum set! 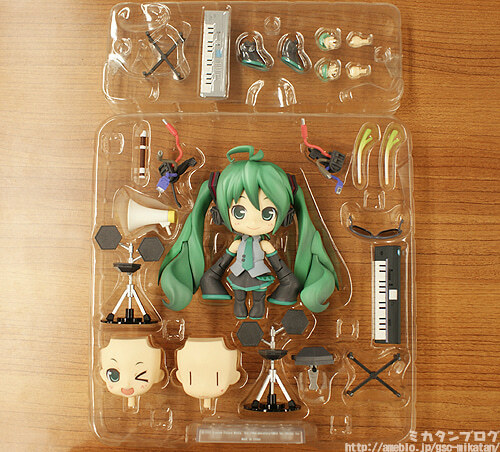 The entire drum set is included with the figure! 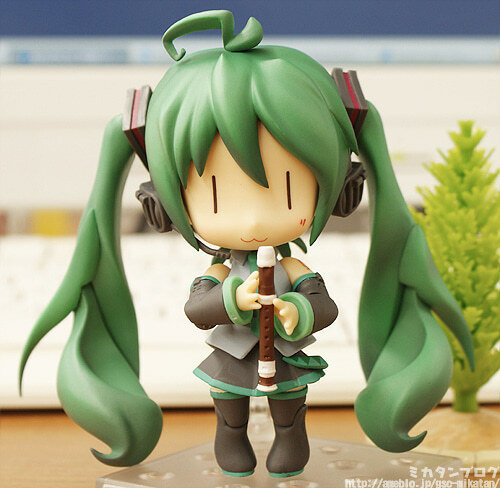 You can pose her playing the drums with her leek drumsticks! 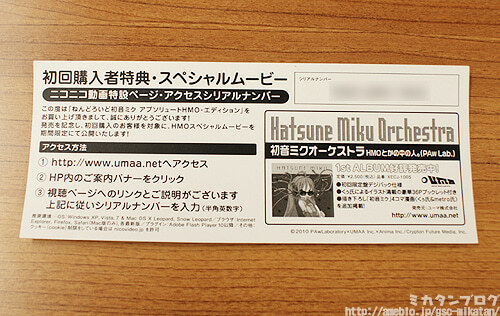 But there are still even more extras for HMO fans! Apparently this is the keyboard that YMO uses, while the black keyboard is the one seen in the HMO PV. Apparently the gray keyboard was added because YMO asked for it specifically! 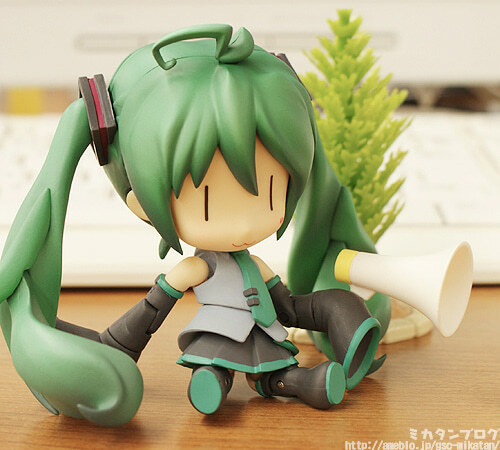 A ( |ω| ) face and a megaphone! Even more extras that HMO fans will love! I’m personally really glad they included the elusive megaphone! 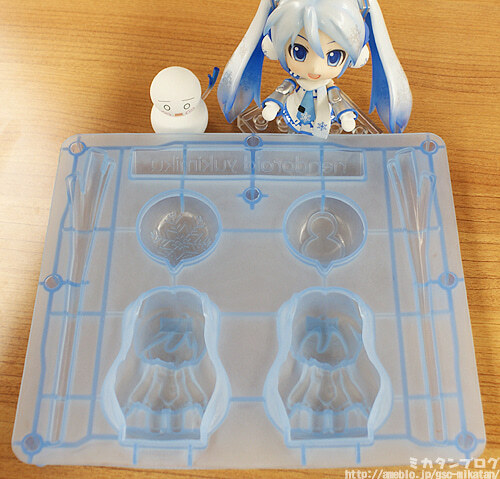 There are also extra parts to cover up the holes where her headset would normally be – so you can display her without it without the figure looking too strange. Yay! Although in the HMO PV the recorder was actually played by Len. Nendoroid Rin and Len came with blank faces… and this figure comes with extra face stickers to recreate HMO Rin and Len! The stickers are located on the inside of the box, so make sure to find them! 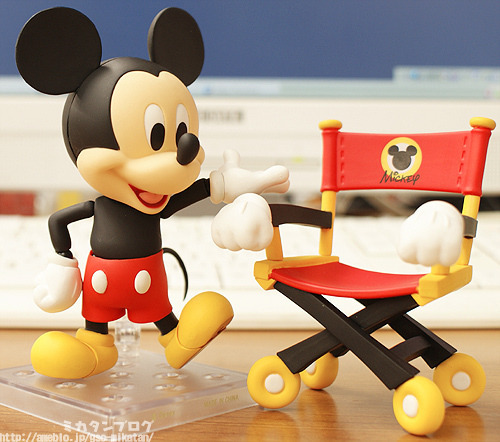 Plus as a bonus you’ll also get a ticket that let’s you watch a special movie! The box really suits her colors! She’ll be on sale at our partner shops from tomorrow! I had to try the ヽ(*ﾟдﾟ)ノ Face on her! Anyway… whether you’ve realized it or not it’s already Friday! 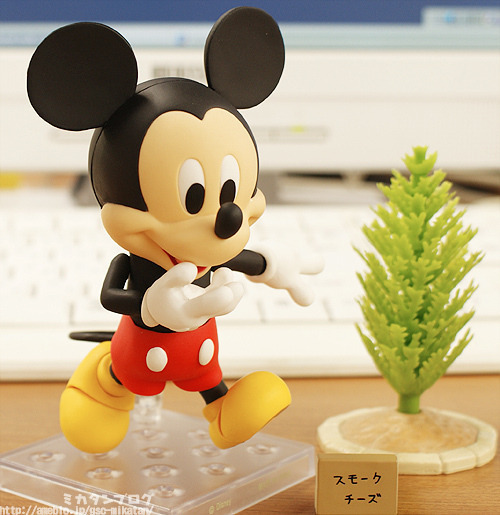 There are only 9 days till WonFes! February 6th is closing in quickly! 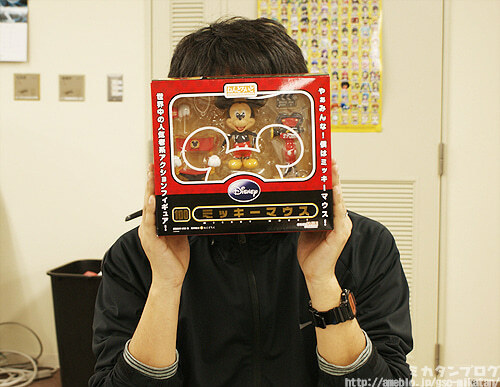 We’ve been preparing a ton, so I hope you’ll join us at WonFes if you can! 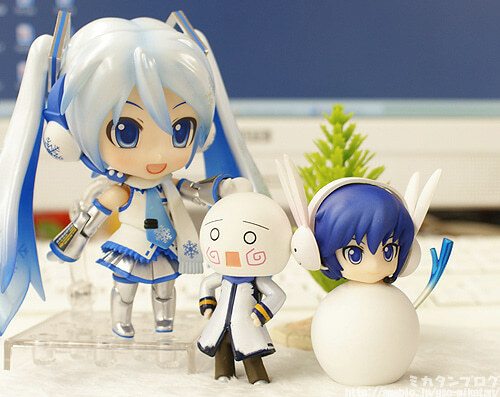 (C)2010 PAwLaboratory×UMAA Inc.×Anima Inc./Crypton Future Media, Inc.
What’s that Take-chan is looking at? 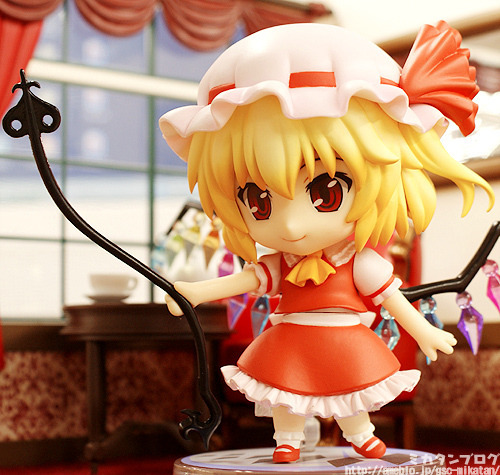 Flandre is from the popular ‘Touhou Project’ series of games made by the doujin circle Shanghai Alice. If you saw my blog featuring Remilia then you’ll know that this is in fact Remilia’s little sister! 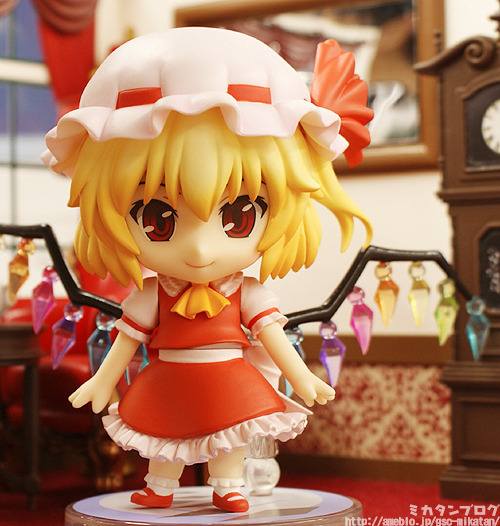 Flandre is being sent out to stores tomorrow!! I’ve been waiting for this one for ages! Flandre wouldn’t be the same without her rainbow wings! The master figure used clear plastic to make the wings look absolutely beautiful… I was worried they wouldn’t look as nice on the final product but they have come out magnificently! Just be very careful when handling them… if you’re too rough they might break! She also comes with some fun extra parts! ‘Lævateinn’ with a hand to hold it! This is Flan-chan’s weapon ‘Lævateinn’ – you just push it into her hand to make her hold it. 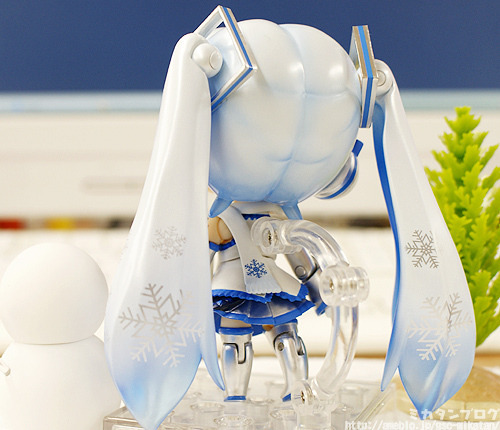 The sleeves on her outfit can also be rotated around for even more poses! 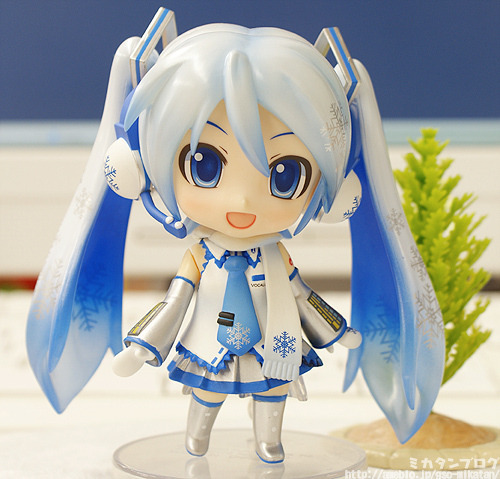 She also comes with a grinning face! This is how Flandre should took! It’s the perfect expression for her personality! 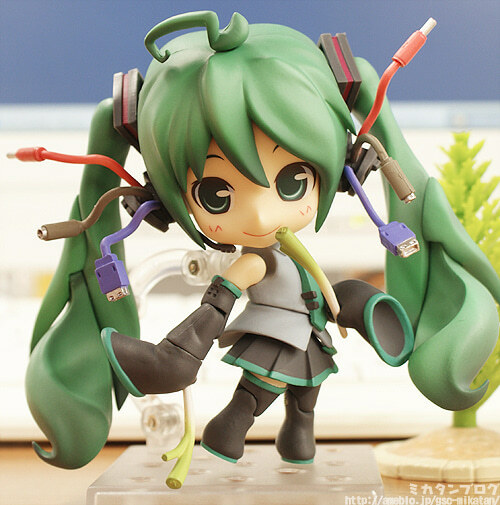 She also comes with two different shoulder parts – one to allow the arms to come out on the side and the other makes them go forward -the bent arm in this image uses the shoulder that makes the arms come out forward. How does she look without the hat? I think that blond hair looks adorable! 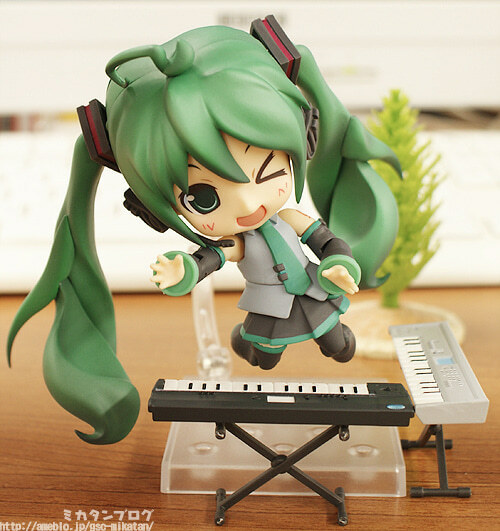 As you can see, she actually comes with two upward bend hands! 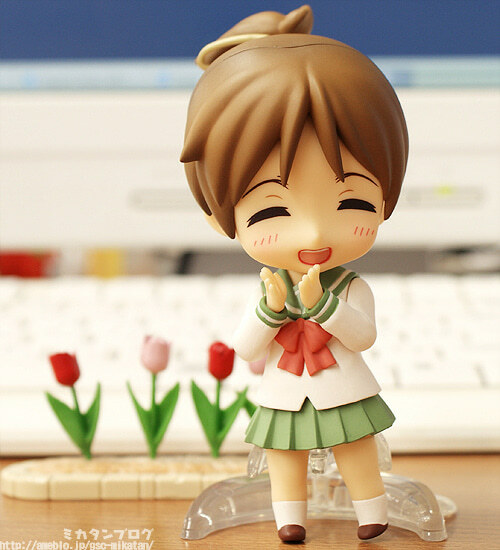 She also comes with an innocent smile! The contrast between this face and her grinning face is quite scary… you can have an innocent and playful Flandre like this, or a destructive Flandre like the one above! 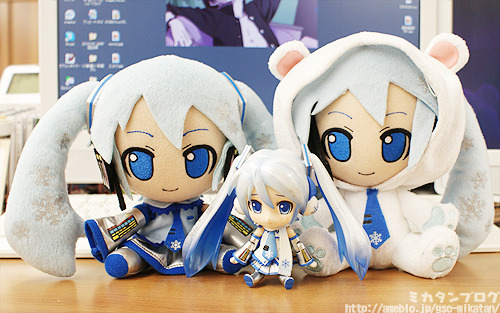 Displayed with Sakuya, her maid! I’m sure she will also look great displayed with her sister Remilia as well. She also looks great in the Western Playset – it’s the perfect rendition of the Scarlet Devil Mansion! I’m sure a lot of you noticed already, but I used it in all the photos above – it will be on sale in March! 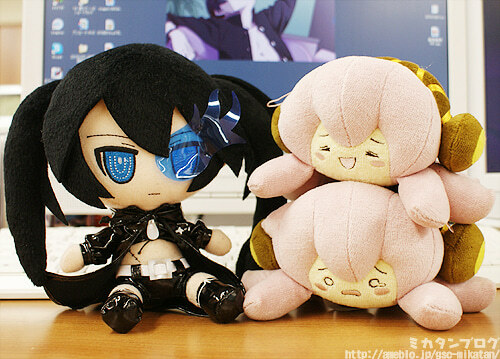 She’ll be on sale from the 28th Jan! 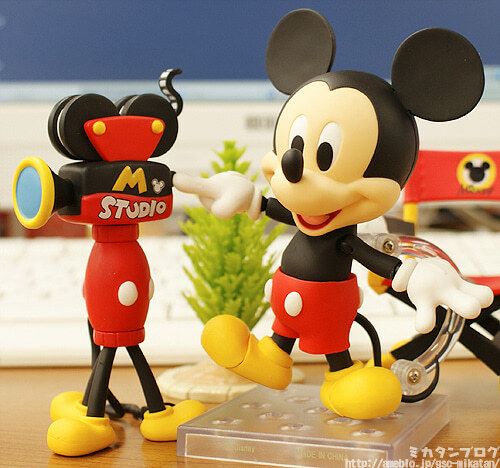 A new master figure from Phat! Company arrived! 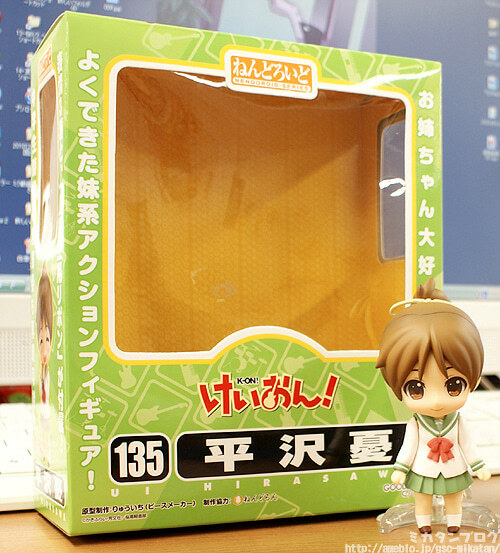 A scale figure of Chen , the shikigami! 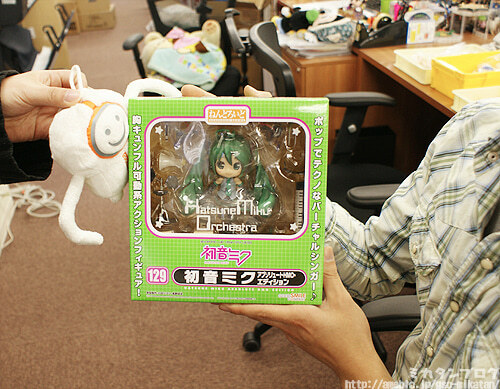 It was originally a garage kit made by sculptor YOSHI that was based on an illustration by the group ‘QP flapper’! 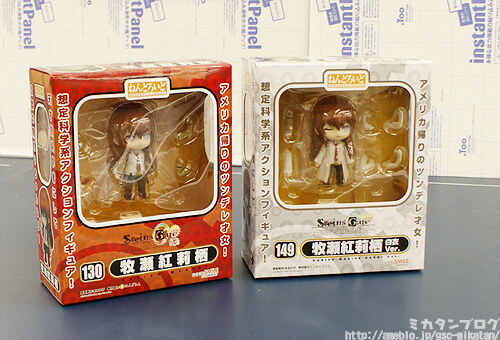 Plus there are also figures of Yukari Yakumo and Ran Yakumo on their way!! 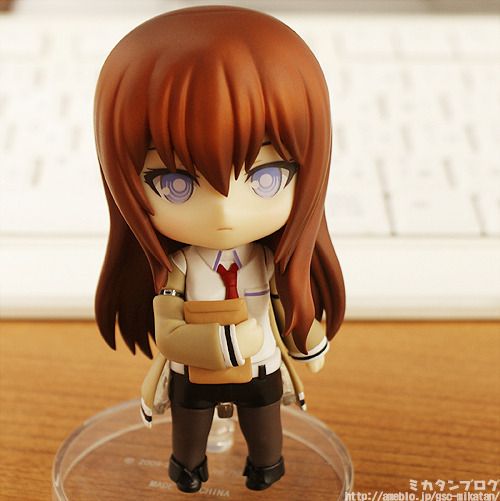 Could you please leave her on my desk? What did you do to Giita!? But anyway, today we’ll be playing with this cutie! Ui is the reliable younger sister of Yui from the anime ‘K-ON!’ – she has great grades at school and always helps out with all the housework! She is wearing her lovely middle-school uniform!! 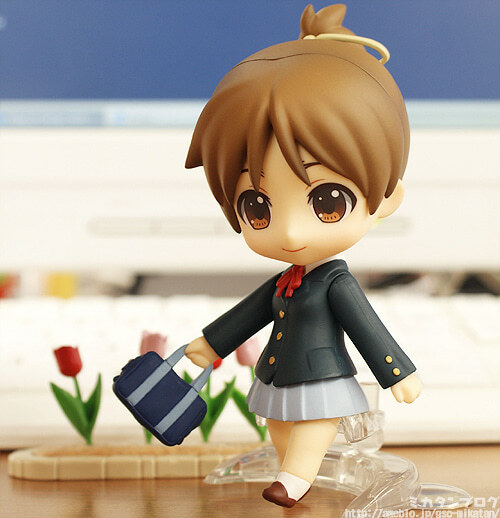 Her ponytail is fitted with a Nendoroid joint which lets it move around quite nicely! The ribbon in her hair can also be removed. 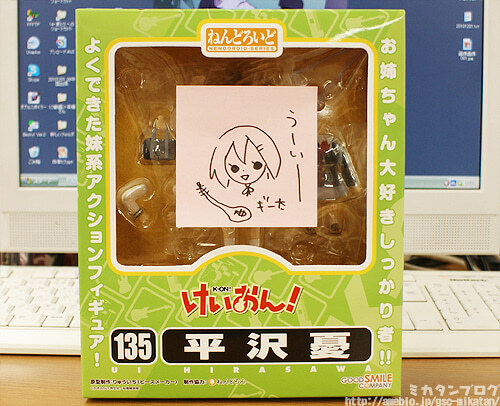 She uses the same kind of stand that all the previous K-ON! 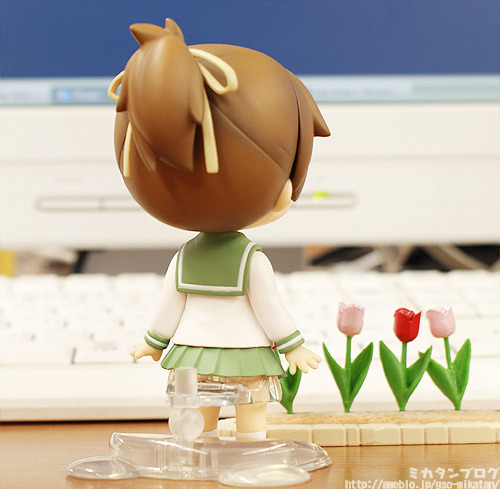 Nendoroids have used, which lets her stand directly on the floor instead of on the stand itself. A bright smile as if she has no worries in the world! Just looking at it gives me the energy to get through the hardest of days!! 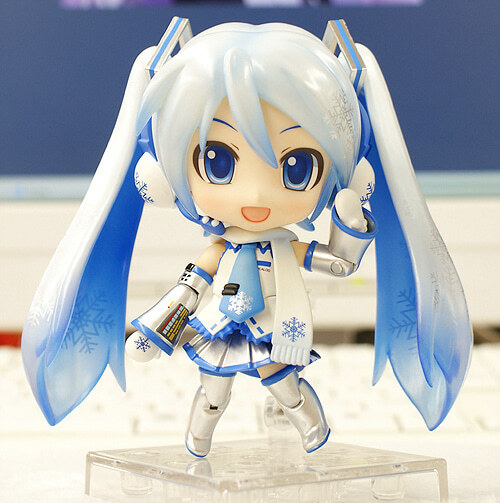 She also comes with bent arms! 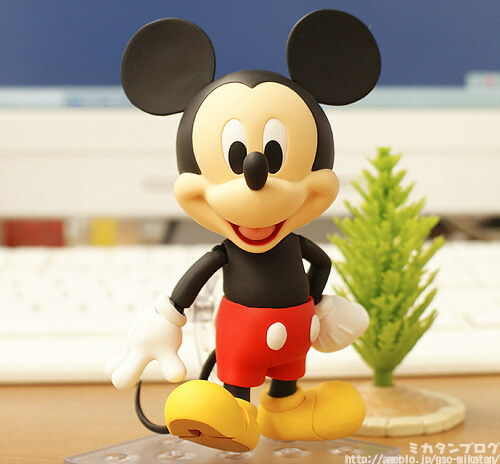 The hands can be removed from the arms, so you can put these hands on the straight arms too if you prefer them. 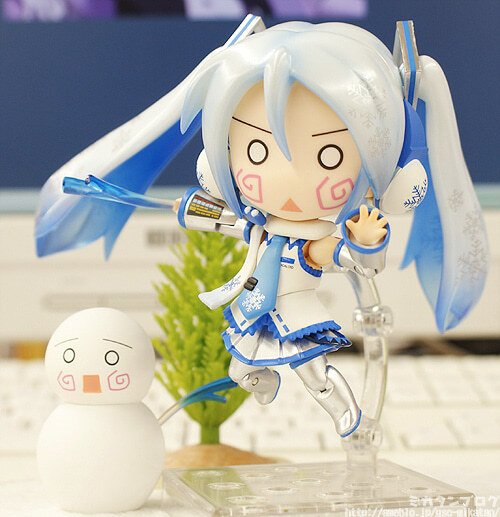 She comes with this lovely Dizzy Face! 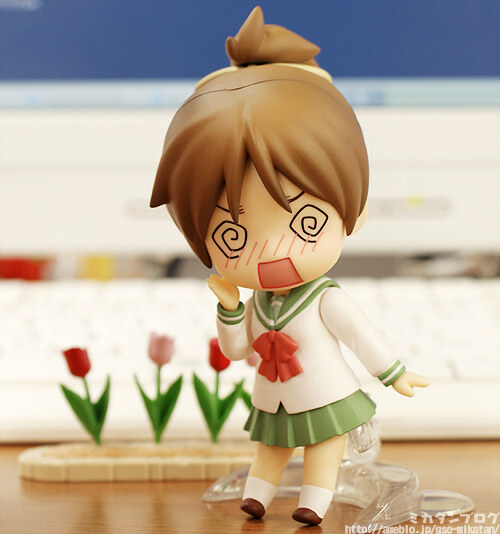 This face can be used for so many things!You can obviously also give it to some other Nendoroids to try on! Her Sakuragaoka high school uniform! As well as her school bag to carry with her! It all looks absolutely gorgeous! 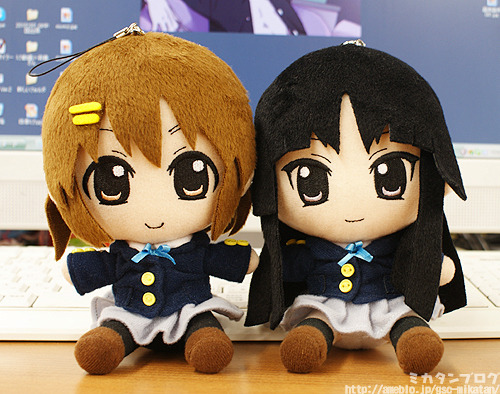 Can recreate the scene where Ui disguised herself as Yui in season one! 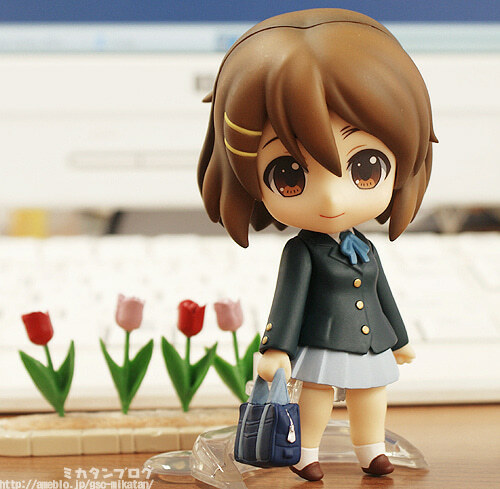 The reason this picture looks a little weird is of course because this is actually Ui just with Yui’s hair! The blue ribbon for the upperclassman is also included! The Sakuragaoka uniform makes displaying the characters together look really nice! 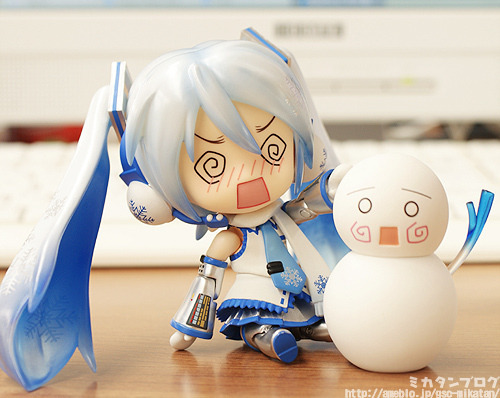 Let’s try the dizzy face on another Nendoroid!